Umrah was born on the 28 of April 2007 from a cross between Qasima v’t Guitpad and Spike Donna van Lana’s Hof. She has an outgoing character and a beautiful type. Her construction is solid and good and she also has a lot of expression. She was still young but she already won her first RCAC and CACIB in Zwolle in 2007. Her second show was The Martinishow in Groningen in 2008 and there she also got 1 Excellent. She gave birth to her first litter on 12-3-2012. There were 3 males and 2 females born in this Y-litter but unfortunately one the males died after one day. The other 4 pups did very well and it was a very good litter. The father from this litter is Hurricane v.d Schagerwaard. 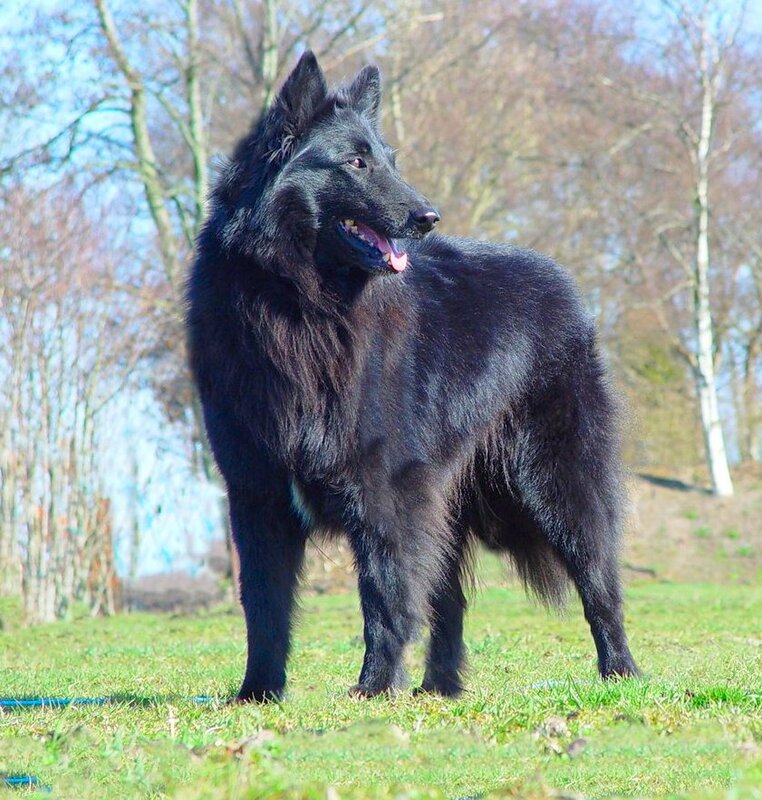 The second litter from Umrah v’t Guitpad was our A-litter Groenendael and Umrah was mated to Jago de Sincfal on 10-08-2013. The pups of this litter were born 13-10-2013. In this litter there were born 3 males and 3 females. This litter was very beautiful with dogs of great character and construction. One of the male dogs Ailan v’t Guitpad (Dutch) was exported to Astana Kazachstan to Vladimir Dmitriv and Ogul. 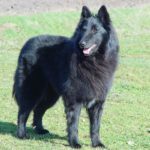 This dog is very succesful and becane Asia-Winner when he was two years old. We were very surprised when Vladimir and Ogul came back to Kropswolde to show us Ailan when he was an adult.